ALL decisions are made in the given set of circumstances and keeping in view the prevalent sensibilities and desires. Almost six decades ago, the people of India, speaking through the Constituent Assembly, decided to make free India a secular state. THERE was a time when a passenger stepping down at Lucknow’s Charbagh railway station would be greeted by hordes of “tongawallas” (drivers of horse drawn carriages) with the query – “Hazoor, kahan tashrif ley jayen gey” (gentleman, where would you like to go?). PUNJAB is struggling to hold on to its own on financial front. The situation is the creation of its governments over a period of more than one decade. In the last Congress regime, they first took courage to make structural adjustments on the financial front. THE countdown to the presentation of the Union budget has begun. Finance Minister P. Chidambaram has already held meetings with various representative bodies and groups. Even the leaders of his own political party are exerting pressure on him that, in view of the impending elections, he should present a soft and popular budget. Although a constituent of the Left Front government in West Bengal, the All-India Forward Bloc (AIFB) is having major differences with the CPM. Rajya Sabha MP and party general secretary Debabrata Biswas, whose party has worked with the CPM in opposing the UPA government’s policies, especially the Indo-US nuclear deal, talks about the ruling coalition and internal problems in the Left Front. Secularity can, however, have many connotations. A secular state may be one which does not promote or endorse a particular religion; or one which treats and tolerates all religions in the same way; or even one which does not tolerate any religion and actively suppresses all religious activities. Back then, we chose that while the Indian state would not subscribe to any religion, all people would be free to pick whichever denomination they choose. We even gave religious bodies special constitutional rights so that they could preach and practice their beliefs without hindrance or obstruction. It is quite amazing, therefore, to come across the vociferous recent attempts to arouse the anger of people against the French. Almost four years ago, the French government passed a law prohibiting the carrying or display of religious grab or symbols in public primary and secondary schools. The Khalsa leadership today seems to have taken it as a direct challenge to the tenth Sikh Guru and has been misguidedly seeking to polarise public sentiment ever since. It would also be quite interesting to observe the reaction of the SGPC to a Muslim pupil in one of its schools or colleges who insisted on breaking lessons for performing Salah or Namaz. Till recently, the SGPC had been reserving half of all seats in its educational institutions, including medical colleges, for baptized Sikhs. If you were not baptized in the way of the tenth Guru, you were denied admission to the college, even if you were meritorious. The Punjab and Haryana High Court’s judgement, correctly striking down this unhealthy practice, has only been more fodder for the malcontent’s cannon. The SGPC can’t possibly defend its own actions in “defending” their right to practise their beliefs while at the same time denying the French public its right to have a secular state policy. It had already prohibited Muslim Rababis from performing kirtan in the Darbar Sahib in 1925 and recently denied permission to Ghulam Mohammad Chaand, a descendant of Guru Nanak’s companion, Bhai Mardana, as well. All this can easily be defended on the strength of claims of religious independence and freedom. We are rarely this charitable when the shoe is on the other foot. But first let us get some facts straight. The French schools, much like the Indian schools, fall in three categories: purely government-run schools, purely private schools and private school which receive government funding. The law banning the wearing of religious attire or carrying religious symbols does not apply to private or aided schools but only to the government schools. The law is not aimed specially at the Sikhs or Jews or Muslims or Buddhists or any of the thousands of religions actively practised in the world today. A pupil wearing a turban is as likely to fall foul of the law as one wearing a Catholic cross on a necklace or a Jewish yarmulke. There have been barely a handful of cases where students have been expelled form schools for violation of the law. Out of the handful of Sikh children expelled, at least three were studying in Catholic schools. A student who does not wish to give up religious symbolism is under no compulsion to continue to study in a government school. There are plenty of private or aided schools where such restrictions are not in force. The average fee for a student studying even in a private or aided school can be as little as £20 - £30 per month, depending also upon the financial capacity of the family. Given that even an old age a person drawing social security in France is entitled to at least £6,700 a year from the government, this is a miniscule and eminently affordable amount. The law does not ban the wearing of headscarves or any other conspicuous symbol in public places, universities or in private schools. Sikhs made up 0.01 per cent of the French population in 2006. This is the same as the number of Zoroastrains in India! In a nutshell, the French legislature has merely said that if you wish your child to study in a purely government funded school at the primary or secondary level, then you must ensure that the child dresses in a neutral manner and is not wearing or carrying any religious symbols. If you can’t accept this restriction, then please send your child to a private school which does not enforce this condition. Given the huge number of reservations on religious, caste, economic and other criteria that we have in India, one would have thought that we would have no qualms about this as being a completely reasonable restriction. The vocal minority is, however, painting an entirely different and sinister picture for the common masses. It is being sought to be portrayed that no Khalsa child is going to be able to attend school in France; that unless the Khalsa pitches in with money to start a new school in France, the children are going to grow up unlettered. Or worse, the only alternative that a child wanting to be educated is to convert to another religion. This is simply untrue and highly scurrilous. Even otherwise, what objection can ever be raised to children growing up in an atmosphere that is free of religious connotations? A healthy percentage of children, even including those of many of the rabble-rousers, study in convent schools and say their daily Christian prayers with children of all other denominations. There are plenty of opportunities to share your religion and culture with the children at home or on weekends, without having to make the poor little ones stand out differently in schools. Some time ago, a delegation of some enlightened ones went to present a petition to the International Court of Justice against the French law. It’s a different mater, of course, that any of the “affected” school students would be able to tell you that only nations have the right to go to the ICJ. Private individuals or religious organisations, even if confronted with such grave matters, have no standing in the court. Marches have been planned and conducted against anything remotely French sounding, whether or not it has any influence with the law-makers in that country. It’s also small wonder that of all the methods suggested by the vocal minority fall short of the recourses allowed by the law in France or in Europe. The only suggestions that stem are those of mass agitations, ridiculous decisions to approach human rights organisations etc. The Sikhs are a well-respected, highly industrious and integrated part of most European nations. They have traditionally been regarded as non-controversial and productive members of society and have won laurels and admiration from all over. It would be wrong to use them or their sentiments for populist or opportunistic ends or for finding fresh money-raising causes. Let us not make things so warm for them that they find themselves unwelcome in those countries anymore. Now come out in the porch of the station and you are mobbed by jostling auto-rickshaw drivers and the query is: “Sirji, kidhar jana hai”. Lucknow’s culture and sophistication might have dwindled but the values of the bygone days are still upheld by some natives. One of them is scholar, critic and short story writer Naiyer Masud, decorated with the prestigious Saraswati Award by the Birla Foundation. Masud has become a legend in his life time. A translation of his short stories, compiled under the title “The Essence of Camphor”, published in English, French and other languages, has stunned readers across of the world. So attached is Masud to Lucknow that spending time away from his native town makes him nervous. He reluctantly visited Tehran in 1977 for a few days at the invitation of Iran’s Ministry of Culture to participate in a conference of teachers of Persian. Now 72, he has lived all his life in the mansion-like house – Adabistan – built by his father, Masud Hasan Rizvi Adeeb, renowned Urdu and Persian scholar. Masud’s mother was an Urdu poetess. Truly, Adabistan, imeaning an abode of culture and courtesy, has been an abode of literature, learning and culture with an excellent research library. 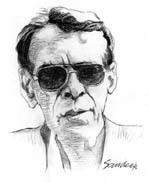 Growing up in such a literary and learned family, Naiyer Masud wrote his first story at the age of 12. From a very young age, Masud Masud showed a fondness for reading and writing fiction but his father’s library did not have much fiction which he longed to read. Instead at a very young age he read “Aab-i-Hayat” by Muhammad Husain Azad and by the age of 10 he had read several other books, including “Darbar-i-Aakbari”. As a child, says Masud, he missed out the excitement of reading fiction but later made up. As a matter of fact he read more fiction than scholarly books. Even though Masud penned his first short story – Simiya – at the age of 12, he began publishing his work only after 1971. Simiya is an Arabic word which has several meanings and, among them, are metamorphosis or the art of creating illusions. Nusrat (colour of nothingness) was his first short story which was printed and received very well. One of the traits of his personality is that he hates talking about his achievements. He has received many awards including the Sahitya Akademi award but would not to like to talk about them. He has never prepared a bio-data or resume unlike many of his contemporaries. Masud is an academician who does not believe in the precept of “publish or perish”. He does not write out of compulsion or achieve recognition and distinction but to fulfil a natural urge. “I like reading and writing short stories and I find it immensely relaxing”, he says. Masud has over 24 books to his credit which include fiction, children’s books and scholarly publications. He has translated short stories and poems from Persian into Urdu. He is, however, best known for his distinctive short stories having published 35 of them. His stories are read across India, Pakistan and the West, having been translated into English, Finnish and German. Masud eked out a living by teaching Persian at Lucknow University and later became Professor. He holds two Ph.D degrees – one in Urdu from Allahabad University and another in Persian from Lucknow University. His father too was a Professor of Persian in Lucknow University. I’m really happy to reach 80. I never expected it, not least having a neighbour – the greatest power in the world – trying to kill me everyday. There are some articles in newspapers which are educative, and there are some which we ignore. But what is this article indicating that the matters are not getting posted and that the court is being unfair. This article (by Teesta Setalvad) is not in good taste. Instead of free power, give cash subsidies to the farmers if you really want to help them. Don’t exploit energy and natural resources. IAS is an excellent career. I joined the civil services due to the insistence of my parents and because of Mussoorie… Never repented my decision… however, the kind of exposure, opportunities and money one could get in the corporate world is incomparable. It is such a huge canvass to work on. Any efforts by the judiciary to take on itself the onerous responsibility of governance of the country will have serious implications. Legislature has a preeminent position in the democratic setup. It has been amazing and full of drama. I wish it had been telecast live. This is for the first time that market forces are determining the price of a player and not the selectors. This is how free market economy works. I will say from my side, whichever political party will win …I will give them full cooperation as president. I will remain committed to politics of reconciliation with everyone. When you are playing in opposing sides in any sport things can get heated, and cricket is no different. But when players get together in a team, cricket tends to take control of all egos and all past discrepancies. They started charging for power supply to the farm sector, which did not face much resistance, but soon they went out of wind and succumbed to their political compulsions on the election eve, little realising that their courageous step was rather appreciated and slippage on their part did not draw any accolades. Now the Akali-BJP combine appears to be taking courage to rationalise the subsidies, including those on irrigation water and power to the farm sector. Though quite belated, the stark realities have dawned upon the ruling combine. The revenue resources of the state are not enough to meet even the committed expenditure on salaries, pensions, interest etc. About half of the capital borrowings are, therefore, consumed by revenue expenditure. And the debt stock of the state is increasing day by day. Annual planning has been reduced to a mere farce. Budget provisions are not even half of the plan size and the actual expenditure does not exceed 50 per cent of the budgeted provisions. Thus the actual achievement on plan expenditure does not exceed 25 per cent of the plan provisions. Even this expenditure includes some committed expenditure on salaries, court cases etc. There is virtually no money for development planning and funds are never released as per plan provisions. Planning has been reduced to a futile exercise. Plan provisions and achievements get bloated by including the investment provisions and expenditure by the Punjab State Electricity Board, the Rural Infrastructure Development Fund etc. On the other hand the farm sector and the SC/BC classes alone are provided free power amounting to more than Rs 25,000 crore annually. As a consequence, the generation of additional power and augmentation of the distribution system that are a pre-requisite for development in all the sectors of the economy, suffer a serious setback. Right pricing the electric power and rationalising the subsidy is, therefore, the right step, which even the Prime Minister of the country is advocating again and again. Yet, the Congress leadership of the state appears to be suffering from a sort of serious paranoia and has declared that when they come to power, they would restore the free supply of power! What can be more unfortunate for the state? These leaders should have by now realised that their government could not effectively deliver on development aspects of the state because of the debilitated sate of the economy they inherited from the earlier Akali- BJP government. Since they themselves also could not take courage to rationalise subsidies, reduce revenue expenditure and plug rampant tax evasions, they too left behind a financially bankrupt state. Had the Congress come to power, they also would have landed into the same unenviable situation as is the ruling combine today. Since the situation is not going to improve with the extent approach of the political leadership of the state, there is an imminent need for them to get together to break the vicious circle of uncanny competitive politics of throwing sops to the electorate that are bleeding the economy pale. One wonders how can free power and irrigation water be justified for the farmers who grow commercial crops like wheat, rice, potato, fruits etc on hundreds of acres and are well to do by any standard! The majority of small and marginal farmers who deserve such subsidies do not have tubewells even. They either buy water from adjoining tubewells or operate diesel pumps. Medium and large farmers are installing even submersible pumps, which, of course, is becoming a necessity day by day. These tubewells consume more power per unit of water lifted from underground and the deteriorating water balance has become a matter of serious concern. Another aspect that the political leadership of the state refuses to comprehend is that this subsidy of free water and power supply to the farm sector does not land into the pockets of farmers of the state. A major chunk of tubewell and canal irrigation water is consumed by the rice and wheat crops. More than 20 million tonnes of these grains are procured at the minimum support prices by the central government annually and moved outside the state. Since the Commission for Agricultural Costs and Prices of Government of India includes only the direct costs incurred by the farmers into their calculations of cost of production of agricultural commodities under their purview, the cost of free power and water is taken at zero in these cost calculations. As a consequence, the minimum support prices remain low. In turn, the issue prices are also set low. Thus the subsidy meant for the producers of these crops passes on to consumers, mainly consumers of the deficit states, without benefiting farmers of the state. Thus, the state of Punjab and, to a lesser extent, the state of Haryana are subsidising consumers of the deficit states of the country in the name of subsidising their farmers. This is a simple logic, the politicians of the state are adamantly refusing to understand. The approach should be to charge the right prices and demand higher output prices based on the higher cost of production. No doubt, these days the farm sector throughout the world subsists on huge amounts of subsidies and it cannot be an exception in India. Yet the subsidies are more productive if these are direct subsidies on investment and are targeted to the deserving sections of the sector, which develop productive capacities of the beneficiaries. Input subsidies, specially the ones that are not targeted, are patently bad subsidies, which bleed the state financially and does not help the intended beneficiaries. The Finance Minister of Punjab has rightly observed that development of the state can accelerate only through effective delivery and good governance, yet effective delivery and good governance cannot be imagined in a financial vacuum. Therefore, the necessary and sufficient condition is that the leadership of the state must shed its paranoia based on uncanny competitive politics of throwing sops to the electorate and rationalise the system of subsidies in all the sectors of the economy to restore financial health of the state and put it on a sustained growth path and thereby save the state from holding a begging bowl before the central government. There is no point in opposing for the sake of opposition only the highly rational step the ruling combine is contemplating to take. But as is evident from the writing on the wall the Finance Minister is likely to reveal the road map for implementating a goods and services tax (GST) throughout the country. It was the Kelkar Committee in July, 2004, which had first recommended the imposition of GST in the “Report of the Task Force on Implementation of the Fiscal Responsibility and Budget Management Act, 2003”. Therefore, one has to study seriously the paradigm shift to GST as contained in the report of the task force. The task force has recommended to give the states the right to tax services as a “grand bargain” and motivate them to abolish taxes on the transportation of goods and passenger, stamp duty for the registration of property apart from general sales tax, octroi, entry fee etc. In return of abolishing all these taxes the states would get the right to tax services. Presently, the Union government is expected to earn more than Rs 50,000 crore in the current fiscal year from the service tax. Since the service tax does not find any mention in the Constitution, it has become the sole privilege of the Centre because whatever is not mentioned automatically belongs to it. However, it may be pointed out that taxes like stamp duty and registration fee on movable and immovable property stand as a class apart. Practically, these taxes resemble more with direct taxes than indirect taxes i.e. taxes on goods and services. Moreover, these taxes are on the State List. Therefore, these taxes cannot form an integral part of the integrated indirect tax structure, i.e., taxes on goods and services (GST). This would also create unnecessary controversy in our federal financial relations. However, before implementing this proposal of the task force the Finance Minister must consider that the integration of taxes on goods and services (GST) and its enactment both by the Centre and the states assumes that the states would give up their many taxation powers in exchange of taxing services, which may further erode their tax base. Secondly, the enactment of different rates by different states, though within the suggested rate structure, would affect our domestic trade with all the ills from which it was suffering before the imposition of the VAT in 2005. Multiple and different rates of commodity tax by different states were a great hindrance to promoting free trade even within the national boundaries. Under no circumstances there should be double taxation on goods and services levied both by the Centre and states, which is there under the present dispensation. Thirdly, it should also be remembered that our Constitution makers have deliberately avoided any tax item on the Concurrent List. It is only on this account that our federal set-up is considered as a unique one in the world. Then why have a higher tax rate structure for the Centre? In fact, the task force expects too much from the state governments, which would not be conducive for the smooth working of the Centre-state financial relations in the country. Another fact which needs attention of the Union Finance Minister is that the share of the Centre in the total kitty of tax revenue has grown over the period making the states dependents. Their efforts to manage their fiscal affairs is seldom rewarded. For example, as per the Economic Survey (2006-07), it has been found that the share of states’ own tax revenue in the total tax revenue of the country has fallen from 37 per cent in 1990-91 to 32 per cent in 2006-07. The share of the Centre in total tax revenue has increased from 63 per cent to 68 per cent. But this does not mean that states are collecting less tax revenue. This is because the ratio of states’ own tax revenue to the GDP has increased from 5.3 per cent in 1990-91 to 6.3 per cent in 2006-07, whereas the ratio of total tax revenue to the GDP has increased from 15.4 per cent in 1990-91 to 16.8 per cent in 2006-07. In other words out of a 1.4 per cent total increase in the tax-GDP ratio, the states’ contribution is nearly three-fourth. It is hoped that the Finance Minister, in his pursuit to present an “aam admi” budget, will take into consideration the states’ interest. In view of the growing distress in the agriculture sector, the Finance Minister should use the unexpected buoyancy in the central revenue for presenting a pro-agriculture budget. This will help the “aam admi” in general and states economies in particular as agriculture is a state subject. The writer is a former Professor, Department of Economics Punjabi University. Q. How do you look at the performance of the UPA government? A. The UPA’s Common Minimum Programme talks of an independent foreign policy, defeating communal forces, working for the poor and the peasantry and strengthening cooperative federalism. But the government has been violating the CMP. The 123 agreement with the US is the latest example. Q. Given these differences, why don’t the Left parties withdraw support to the UPA government? A. It is a compulsion to support the government. It is a choice between the bad and the worse and we have rejected the worse. We are supporting the government knowing fully well that we cannot support the economic policies of the Congress. Q: How do you see the Left's prospects in the next Lok Sabha elections? A. It is crystal clear that the people are rejecting the Congress. The four-year rule of the Manmohan Singh government has been a bad era for the Congress in terms of electoral battles. The BJP has been gaining due to the negative vote against the Congress. If the Left takes an initiative by uniting itself, we can provide a real alternative. The other non-BJP, non-Congress parties will also join hands to present a viable alternative. Q. How do you look at the differences within the Left Front? A. The Left Front is a product of struggle with a common understanding to oppose imperialism and capitalism and save democracy. In the very beginning we announced that the Left Front government will be run through collective decision-making and not from the secretariat. The government will form policies by working from the grassroots. Unfortunately, in the recent past, it is becoming one-party rule in the name of the Left Front. There is lack of coordination right up to the grassroots level and the policy of collective wisdom is being ignored. Q. Has has this change come about since Buddhadeb Bhattacharya became the Chief Minister? A. I can't say that only he is responsible. It has come about gradually. In the last assembly polls, the slogan was that a better Left Front is an alternative to the Left Front. The leaders announced that there was unity at the grassroots level. But the state government has been more dependent on some party bosses and the bureaucracy of the party. A struggle is going on inside the Left Front which has been started by the Forward Bloc and the CPI and the RSP are working on it. Q. What is the aim of this struggle? A. We want to change the style of functioning of the Left Front government and bring back the spirit of coordination. The differences surfaced because of some decisions of the state government. We are united because of anti-capitalism and all Left parties have been protesting against the policies of the Central government favouring market economy. Q. Do you see the differences in the Left Front being sorted out? A. I don't know how these will be sorted out but a better solution will come. In this struggle between thesis and anti-thesis, a synthesis will come. We are for industralisation but this should address the problem of unemployment. Q. Did the incidents in Nandigarm and Singur precipitate differences? A. The government abandoned its proposal to set up a chemical hub at Nandigarm because of our opposition. The Chief Minister accepted his responsibility concerning the police firing in Nandigram. The incidents tarnished the image of the Left Front government. All constituents are responsible for the success and failure of the government. If the government had discussed such decisions, untoward incidents may not have happened. On Singur, the Forward Block wants a white paper on the concessions given by the government to industry and its benefits to the local people. There is unilateralism and serious lack of transparency.